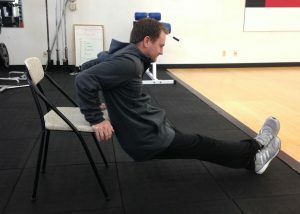 I recently began working with IndyCore Fitness to do some core strengthening. I’m getting old. I’ve been on this rock for 63 years. Up until age 50, I was very fit. Fit enough to run a marathon. Today I would struggle to run around the block. I suffer from chronic sciatica and back pain in the sacral area. I completed one “starter” session with Kim Rockey and felt some immediate relief. I decided to undergo a six-week regime to see whether core training can make a difference. Because of those immediate results, I am optimistic. I am optimistic despite having spent thousands of dollars on chiropractic, acupuncture, physical therapy, and cortisone shots. I had also tried a painful procedure that involved burning nerves in the sacral area with a laser. I conclude the Dr was a quack. I had resigned myself to accepting a life of chronic pain. I must say that I found a small bit of relief in letting go of the anxiety and simply accepting my situation. I have since discovered life need not be painful, that there are answers. Over the next six weeks I will be blogging about the work I am doing with IndyCore Fitness. I will write about the exercises and the results in diminishing the pain I have been living with for over ten years. As with any serious fitness programs, there are things that must first be addressed. IndyCore asked me to complete a health survey. The survey included questions about my recent health, family histories, and medications I am taking. Under certain circumstances, IndyCore will ask that you see your physician before training with them. Once the paperwork was completed Kim explained some of the problems that can develop as a result of working in a seated position for many years. 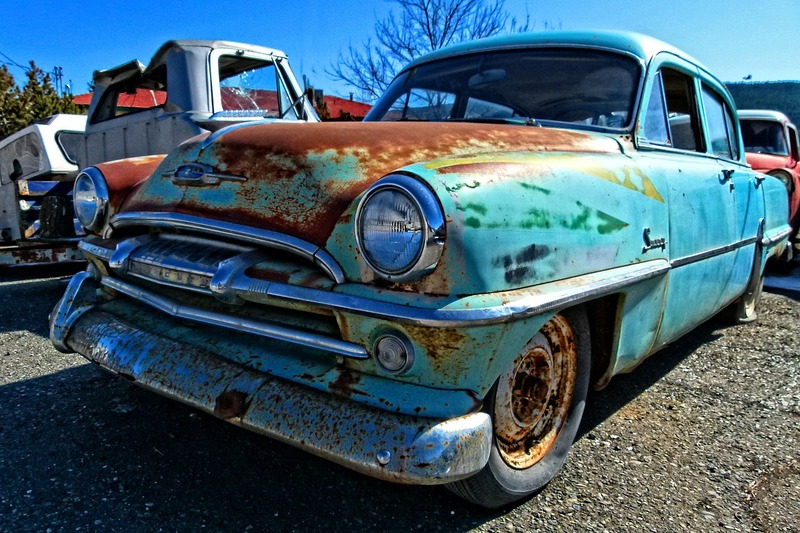 I was a software engineer for 30 years so I have likely developed many problems. I can distill this down to a simple truth: Deskwork results in our hips shifting into a forward position because of our routine posture. Compounding this problem for me is scar tissue that remains from all that running I used to do. Kim had me lie on my back with a softball placed under the area that was causing pain and roll gently side-to-side. I was amazed at the relief I felt after just a few minutes! Over the next six weeks, I am writing about the specific exercises Kim teaches me for core strengthening. I will also give an honest assessment of the degree of pain I experience as conditioning progresses. I am looking forward to sharing my progress with you! Did you know that poor blood flow and knots in your muscles will keep you from burning calories and losing weight? Foam rolling needs to become part of your workout to help keep your fat burners working at 100 percent. Foam rolling is an excellent technique to recover after strenuous activity. Athletes can use this technique the same day or the day after a hard workout. Myofascial Release applies pressure to parts of the body in order to release tension. During your workout scar tissue can form in the muscle creating little knots. In addition to “removing” those little knots, this recovery technique can lead to greater joint mobility and range of motion. Foam rolling will improved blood circulation in the muscle. The muscle will repair faster due because the problem areas are getting more nutrients with increased blood-flow. Foam rolling is also great for stretching your muscles because it helps to relieve the tightness and knots that come with regular high-intensity workouts. In the video below, Megan demonstrates two techniques to release this tension and remove the knots in your legs. 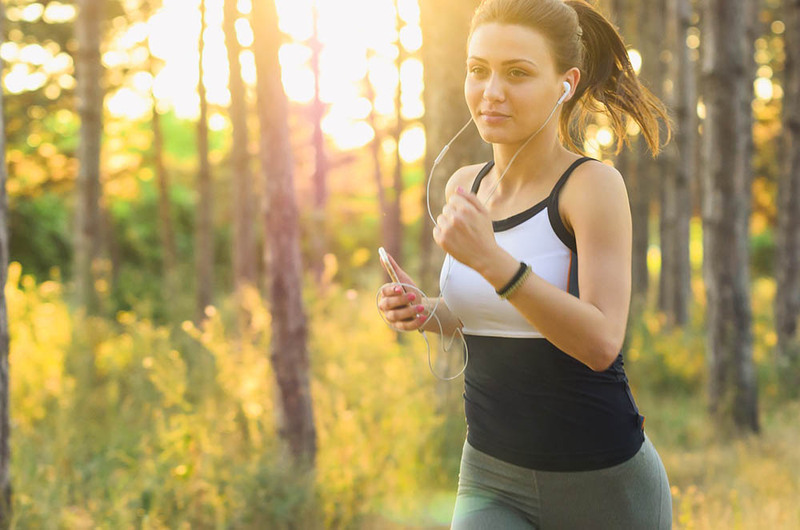 Both of these recovery techniques are great for runners or those who have done a lot of running for their cardio exercise regime. Calf Foam Roll: Start at your achilles tendon and work your way up to the back of your knee. As you roll note any sensitive points and apply the rolling motion back and forth and side to side. Work each area for about two minutes. Repeat the process for the other leg. Thigh Foam Roll: This technique focuses on the side of your thigh. Start at the fibular head and roll to the top of the thigh. Again, you want to pay attention to those areas where there is sensitivity and tension. Roll for two minutes on each side. To learn more give us a call at 317-973-1677 or email us at kim@indycorefitness.net. We are open from 5:00am to 8:00pm. Massage therapy is both physiologically and psychologically potent and as a natural method for healing. “How well you respond to an injury has everything to do with how tense you’ve been for the last ten years”. Massage therapy manipulates and stimulates all of your skin, muscles, nerves, connective tissues, and joints. Muscles are mostly water which means stiff and sore muscles are sick muscles. Massage therapy can break the myofascial pain syndrome including waste products of metabolism and it also serves as a form of passive exercise, increasing circulation, waking up the enormous complex tissues of your skin and muscles by stirring the forces that keep them fit and vital. We are tactile beings; the human body needs tactile stimulation which is often deprived. From 2010-2012, approximately 52.5 million adults in the United States were diagnosed with a form of arthritis, according to the Centers for Disease Control and Prevention. 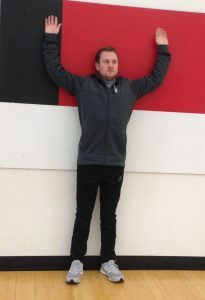 Previous posts have addressed topics such as foam rolling, voodoo flossing, stretching and flexibility, as well as active recovery techniques. Adding on to this theme, in the third part of the FIT series, we will discuss how to practically apply recovery techniques in your busy schedule. Take a break every 1-2 hours. If your job includes sitting in an office chair or staring at a computer screen for eight hours a day, then this tip is especially applicable for you. Every few hours, make a conscious effort to stand up, walk around the room, do a few stretches. Give yourself a short break. Not only will your muscles thank you, but you may even return to your task more alert and focused. Carry a lacrosse ball in your purse or briefcase. When you have a random five minutes at the doctor’s office or are waiting in the school carpool line to pick up your daughter, you could spend those five minutes scrolling through Facebook, Twitter, or Instagram. Or, you could use a lacrosse ball to target sore muscles from your workout the day before! Carry a gallon jug of water with you. Are you drinking enough water every day? One way to hydrate is to keep a gallon of water in your car. That way, when your water bottle is empty and you are out of the house, all you need to do is fill it up again and keep drinking. Foam roll or stretch while watching TV. It is easy to get sucked into mindlessly watching television to unwind at the end of the day. And it is a good thing to unwind! 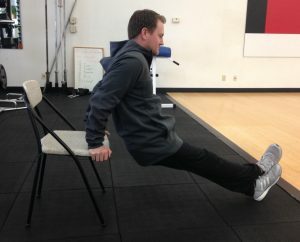 But, what if you devote 20 minutes of the hour in a half you spend on the couch working on your flexibility and mobility? That 20 minutes will go a long way toward reaching your goals. Start your morning with a mobility exercise. Before brushing your teeth, eating your breakfast, or taking a shower, begin your day by performing one movement that will benefit your body and help your mobility. Some examples include rolling the bottom of your feet on a lacrosse ball, performing 10 slow squats, and doing a hip stretch. This way, you set a precedent at the beginning of the day that you are going to resist the urge to ignore your sore muscles and help your body recover. The holiday season is a time filled with family gatherings, Christmas tree decorating, and gift buying, and consequently it is easy to let your workout time disappear from your weekly schedule. 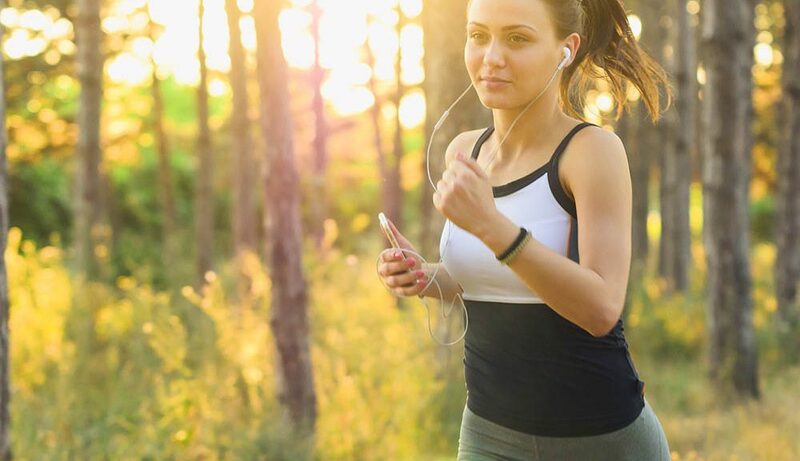 However, just a few minutes of exercise each day can go a long way to helping you achieve your goals of getting in shape, losing a few pounds, and reducing stress. 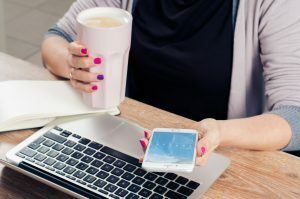 So, here are seven time management tips to help you prioritize your daily workouts as well as a simple and short workout that you can do at home or in the office. Prioritize your daily activities in a to-do list. Determine your most productive hours of the day and plan to get the most done during this time, in order to free up other hours during the day. Set mini goals throughout the day to accomplish specific tasks by a certain time of day. Set an alarm to accomplish a certain task in an amount of time. 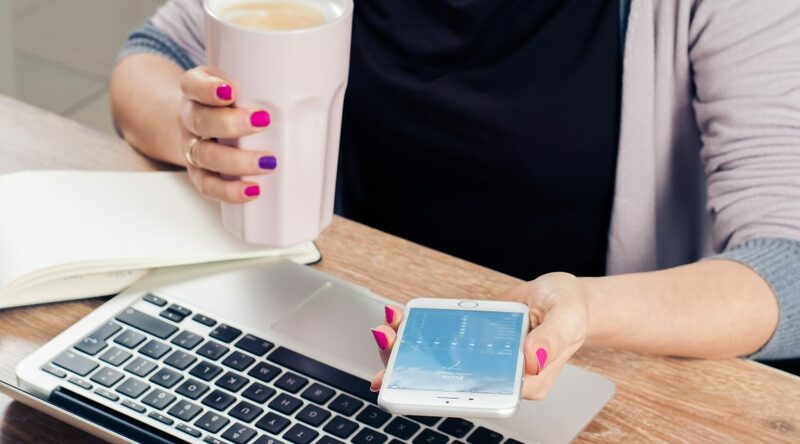 Minimize distractions by silencing your cell phone when working an important task and only check your email at certain times throughout the day (for example, once an hour). Get a good night of sleep so that you are rested and recovered from previous work days and workout sessions. Prepare meals over the weekend and freeze them for the following week. Perform each exercise for 30 seconds and with a 10 second rest between exercises. Complete 1- 2 rounds. Water makes up 45-70% of your body weight, according to Joan’s Salge Blake’s book, “Nutrition and You,” (2nd ed.). Everyone talks about the importance of hydration, but how do you know if you should be consuming more? If the requirements vary, then what are his recommendations? 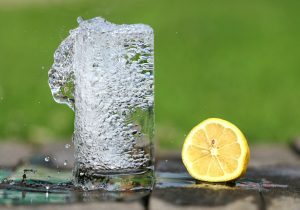 He suggests utilizing your body’s thirst mechanism as an indicator for the amount of water to drink, instead of a specific amount. In addition to the thirst mechanism, it is a good idea to monitor the amount of fluid you drink after exercise. One guideline according to Blake, is to replace each pound (lb) of weight lost during a workout with one pint (0.5L) of water. Additionally, our Indy Core coaches recommend that you drink 8-10 ounces of water 20-30 minutes prior to an athletic practice, competition, or workout session. What does drinking enough water do for your body? Before the Chicago Cubs and the Cleveland Indians began Game 7 of the World Series last night, each team warmed-up on the baseball diamond, throwing, catching, jogging, stretching, etc. Just like an MLB player, athletes and weekend gym warriors need to warm-up their muscles before lifting weights, running, or doing cardiovascular exercise. 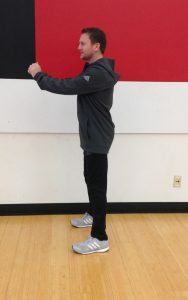 Consequently, check out the following eight movements designed to prepare the ankles, hips, shoulders, and thoracic spine for exercise. 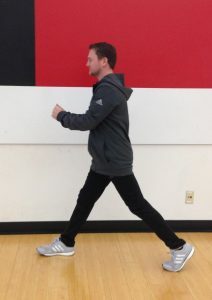 For this movement, stand on one foot and bring the other leg up to a 90 degree angle. Take your knee up, out to the side, and back behind your center of mass to make a complete circle. Make 6-10 circles forward and then reverse the motion to make 6-10 backwards circles with the same leg. Repeat with the opposite leg. Stand with your feet slightly wider than shoulder width apart, with your toes facing forward. Bend down to touch your toes and then drop your hips as low as you can, keeping your knees pushed out and your chest up. Then, raise your arms above your head and push through your heels to return to a standing position. Repeat for 6-10 reps.
Place a small resistance band two inches above your knee. 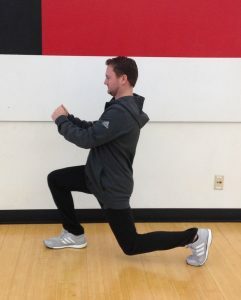 To begin, stand with your feet shoulder width apart in a ¼ squat position. 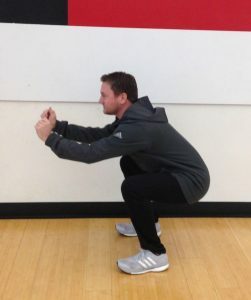 From here, push off of your left foot while maintaining your squatting position. Then, bring your right foot back underneath your center of mass to return to your original position. Repeat these movements over a 10-15 meter area, and then repeat in the opposition direction. Hold a resistance band straight out in front of you, with your hands slightly wider than shoulder width. For this exercise, your goal is to try to pull your hands as far apart from each other as you can. This is be accomplished by pinching your shoulder blades together. Repeat for 10 reps. Lie on your side with your knees bent to 90 degrees. 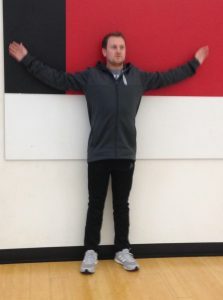 From this starting position, place your arms out to the side. Keeping your legs on the ground, move your top arm across your body to the ground on the other side of your body. The goal is to open up your chest and to increase mobility in your thoracic spine. Repeat for 6-10 reps each side. For this movement, lie on your stomach with your arms straight out from your sides. 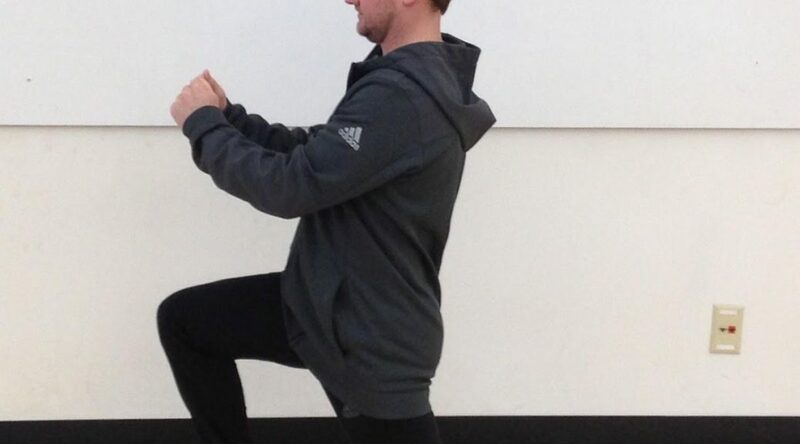 Bend one knee to 90 degrees and lift your hip off the ground by squeezing your glutes and driving your heel in the air. From there, reach your heel across your body toward your opposite hand. You should feel a stretch through your abdomen and hip flexor, as well as in your mid-back. To begin, stand on one foot. Reach one foot straight behind the body while keeping your torso in a straight line. 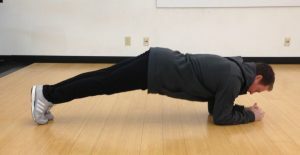 It is important to keep your core engaged during this movement so that your spine stays in a neutral position, meaning it doesn’t flex or extend. Another tip for the extended leg is to lead with your hamstrings. This places the tension in your leg, not in your lower back. Stand with your feet together. Keeping your legs straight, reach down toward your toes. 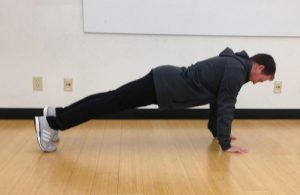 Once in this position, walk your hands out in front of you until you are in a push-up position. From here, walk your feet back up to your hands. Repeat this process for at 15-20 yards. Active Recovery – is it really necessary? What do you do on your days off from the gym? Most fitness programs take an all-or-nothing approach. When you’re training, you train very hard. And when you aren’t training, you do nothing. No matter the circumstances, you do it all or you do nothing. The problem with that formula is that it fails to facilitate one of the most important aspects of training: the repair of muscles and cells. If you’re sore from a workout, for example, you have two bad choices: Go out and give yourself an equally brutal workout, or do nothing. 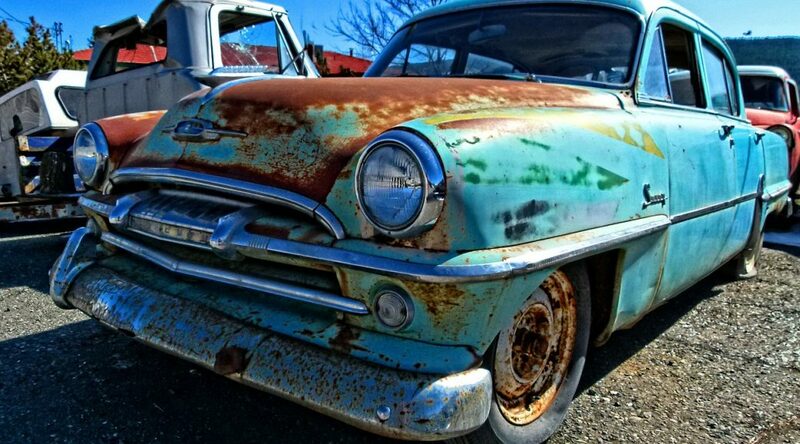 In truth, you need to combine quality work with quality rest to get the results you want. …But regeneration is also a lifestyle philosophy, a recognition that you need to plan ways to recover – mentally and physically – in all areas of your life. You experience the benefit of work on the days you rest. There is a big difference between rest – doing nothing at all – and “active rest.” In the latter, you take a break from serious training but still do things that benefit your body, such as playing golf, tennis, or basketball. Wednesdays and Saturdays are lighter days of the Core Workout, so you might use those days, and/or Sundays, to play your favorite sport. You’re not training per se, but you’re still getting the benefit of physical activity. Not only that, you’re having fun. We call it active recovery, because you’re making a modest effort. There’s also passive recovery, which includes getting a massage and sitting in a hot tub or a cold plunge. Both elements of recovery are not only important but also necessary. And not only necessary, but equally important as working out. If you don’t give your body time to recover, it’s never going to improve. In addition to playing sports, other active recovery options include yoga, Pilates, and low-impact dynamic exercise. To learn how to implement quality rest-day workouts into your exercise protocol, come visit us at Indy Core Fitness & Wellness. We would love to create a personalized program specific to you and your goals. 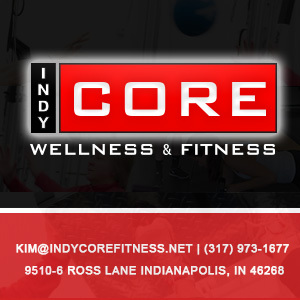 Please visit our website (www.indycorefitness.net) or give us a call (317-430-0063) today. Check out our latest video regarding the basics of static stretching and the importance of a thorough warm-up. IndyCore Fitness Is Certified In MobilityWOD!